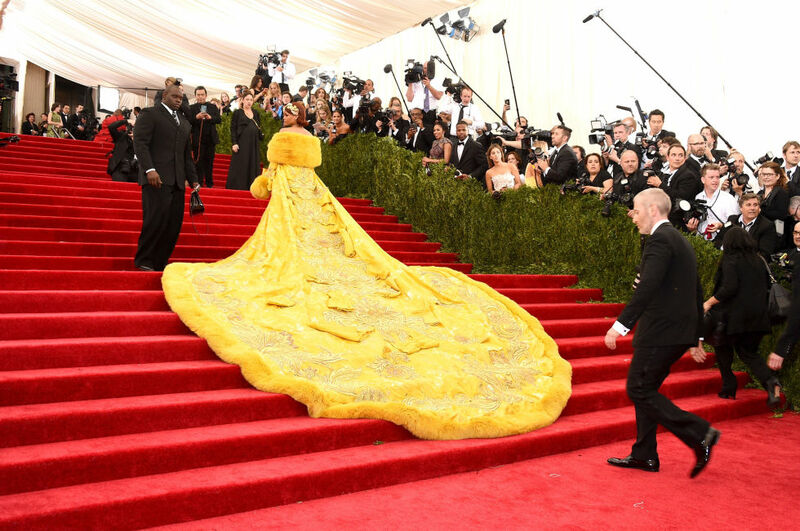 Rihanna in a gold silk & fur couture design from Guo Pei with jewelry by Cartier at the 2015 Met Gala. 03. Published May 5, 2015 at 980 × 651 in #RedCarpet Review: Every Look From The 2015 #MetGala, Featuring Beyoncé, Jennifer Lawrence, Sarah Jessica Parker, & More!